Are the glaciers in Tibet melting? It is reported that global warming is melting the glaciers in the Tibetan plateau and that this process will cause 1/3 of these glaciers to disappear in 10 years (Global warming spells doom for Asia’s rivers, Bangkok Post, June 16, 2010). The article claims that declining water flow in the Yellow and Yangtze rivers, and in particular, the severe decline in Mekong waters in Southeast Asia downstream of China, are due to the loss of glacial mass caused by global warming and that these changes have doomed 1.3 billion people in Asia to death by global warming. No explanation is offered for why an increase in the melt rate of source glaciers decreases water flow in the rivers they feed instead of increasing it. This story first surfaced in mid 2004 with a warning of “ecological catastrophe” from Tibet’s glaciers that have been melting for the last 40 years as a consequence of climate change and that would continue to melt at a rate of 7% per year and reduce water flow in the rivers fed by the glaciers. As to why an increase in the melt rate does not increase the flow rate in the rivers, it was proposed that global warming was again to blame because it was causing all that excess melt water to evaporate. All of these conclusions were derived from the discovery of a number of ice islands that were assumed to have separated from their glaciers. It was predicted that without human intervention in the form of emission reductions 64% of the Tibetan glaciers would be gone by the year 2050 and all of it would vanish by the year 2100. The year 2100 plays a magical role in global warming theory as some kind of end time when the full wrath of every aspect of climate change doom will be realized. Later the same year in 2004, a different story was floated. It said that a visit to the Zepu glacier in Tibet at an elevation of 11,500 feet showed a torrent of melt water gushing out at an alarming rate and all that excess water was forming the headwaters of a river downstream at a much higher elevation due to global warming. Their data showed that 30 years prior to that date, Zepu was 100 yards thicker. They concluded that what is happening to Zepu is happening to all the glaciers in Tibet and what is happening in Tibet is happening globally. 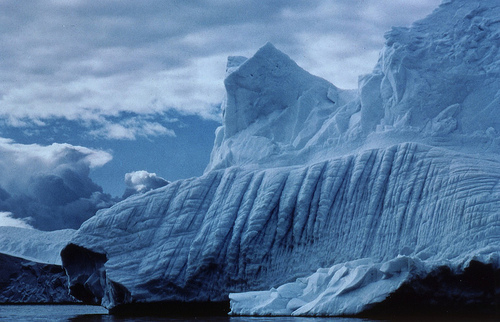 Glaciers are melting all over the world due to global warming with the possible exception of Scandinavia. The story changed again in 2006 when it was announced with a great sense of alarm that global warming was causing sandstorms in Beijing by way of melting glaciers and drought. 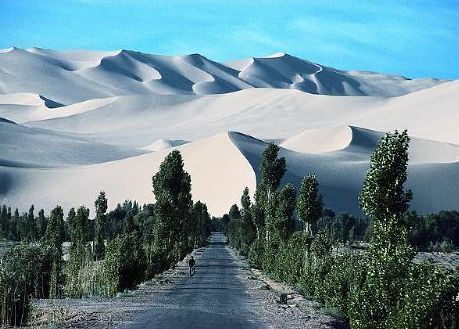 This version of the story came in the aftermath of the unusually large sandstorm event in Beijing in April 2006 that captivated TV audiences and made headlines around the world; but the effort to sell global warming on the back of this tragedy was ineffective as the expansion of the Gobi desert is historical and a well understood phenomenon linked to over-grazing and other land use issues and not due to melting glaciers. However, the story that the Tibetan glaciers were melting and threatening water supplies to a billion people continued to re-appear in 2007 and 2008 but went on a hiatus in 2009 when excessive amounts of black soot deposits were found in core samples of Tibetan glaciers implying that accelerated melting if any was more likely due to soot than to global warming. Yet another deterrent to hyping global warming with Tibetan glaciers came in early 2010 when it was found that the Tibetan glaciers were unique in that they never got very big but varied in size within a range that was not very large with their temperature sensitivity not very significant even going as far back as the last ice age. Also of note is that there is no evidence that water flow in the Yellow, the Yangtze, or the Mekong is declining in the river as a whole. The only evidence presented is that water flow in the Mekong in Laos and Thailand – downstream of China – has declined. In fact it has, but that could not have been caused by a decline in the flow of its headwaters for that would have affected flow in the entire length of the river and not just in a section thousands of miles downstream. The loss of water in the lower Mekong has received a lot of attention in Southeast Asia and it has been a contentious water sharing issue with China which has built a number of dams upstream but it is not a glacial headwaters issue, nor a global warming issue. No one here would take it seriously that the water problem in the Southeast Asian section of the Mekong would be alleviated by lowering carbon dioxide emissions. Consider also that the Mekong is fed mostly by monsoon rains with a water flow that is highly seasonal. Its flow during the monsoon is 30 times its flow during the dry season. Therefore if there were a climate related decrease in the total amount of water it carries it would have to do with the monsoons and not with glaciers. Coincidentally, climate scientists had made the same error in 2007 when they had said that the Ganges river – which receives less than 10% of its water from glacial melt – would dry up because of melting glaciers. So it is curious to find them attempting to revive the Tibetan glacier story yet again in the light of these data and in the heels of their humiliating retraction of similar false alarms about Himalayan glaciers. It is likely that real evidence of global warming catastrophe is hard to come by these days and there is a certain degree of desperation in the global warming camp to keep the issue alive in the media. Did we grow up in the best of times and have we subsequently squandered the nation’s resources and stolen our children’s future (Cry beloved country, Bangkok Post, June 10, 2010)? Postwar Thailand (Siam) began with the humiliation of defeat and being forced to return territory to the colonial powers. 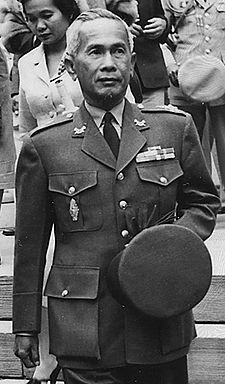 King Mahidol was killed in a mystery assassination that shook the nation, embroiled the prime minister, and created chaos in government; and amid the chaos the army seized power and brought back a corrupt former prime minister to head a new government. Political opposition was ruthlessly suppressed. Extra judicial killings were rampant and unchecked. Successive counter-coup attempts split the armed forces with the navy at war with the army. All of the counter coup attempts were brutally suppressed and the winners went on a vindictive rampage against the navy. Thereafter there was a musical chair of constitutions. Protests by civil society was savagely crushed. When their puppet government stopped taking orders the army took over in a bloodless coup and ran the country with an iron hand. In spite of it a communist insurgency and a peasant uprising took hold and the country descended into anarchy. with student activists taking to the streets to support the peasants and to protest against corruption in government. The army responded with yet another army-managed constitution and elected government but opposition to government corruption was by now unyielding; and once again the army was forced to carry out a coup against itself and abrogate its own constitution and dissolve its own government. During this period the citizens lived in constant fear of its government, the insurgents, of war with Vietnam, and of annihilation by nuclear war. Those were not the best of times and even the horror of the war with the red shirts and the burning of department stores in Bangkok would not make any Thai wish for a return to those times, one hopes. Since those days, the Vietnam war and American aid and investment in Thailand created a modern transportation and industrial infrastructure, diversified the economy, and brought Thailand out from a third world Asian backwater into a modern global economy. What we leave for our children today is a glorious future compared with what our parents left for us back then.